This easy to fill and clean feeder will make an excellent addition to your garden life. 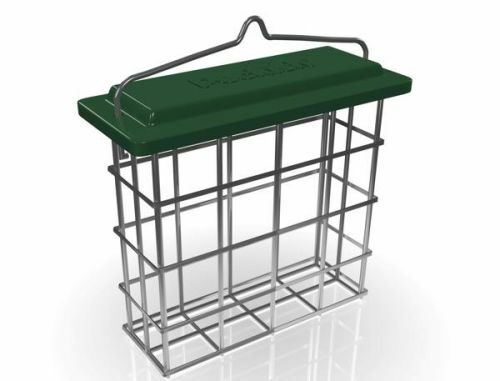 Designed to hold Suet Cakes it has a wide and easy to open lid to fill it. It's made from high quality stainless steel to withstand all weather conditions. You can either hang it from a tree or leave it on a table so you can observe the wild birds up close.